Professional tennis players, amateurs, and fans all over the world usually can’t wait for the summer to begin. The most important tournaments are held from May to September and excite millions of people worldwide. Not only the professionals, but also amateurs and ambitious recreational players have to be in top shape in order to succeed at one of the many tournaments on clay or hard courts. For most of these players, the summer weeks decide whether it is a good or a bad year in regard to tennis. In order to win one needs talent and the right tennis clothing but also a lot of mental and physical fitness. Playing up to six matches in just two weeks at the tournaments in Paris, London, New York, and many other towns decent muscle regeneration and avoiding injuries is the be-all and end-all. Bauerfeind Sports has made it its business to help tennis players, no matter if professional or amateur, achieve their big dream: raising up the winner’s trophy after nerve-wracking rallies. Game, Set and Match with Bauerfeind Sports’ tennis clothing! Fast topspin, hard serve, or strong smash—power, stability, and safety contribute to fast-paced rallies and your best tennis performance. For this to happen, your forearm muscles and tendons must work perfectly together without discomfort. Unfortunately, elbow joint pain is one of the most common problems associated with tennis. 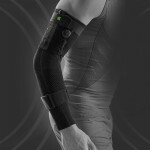 Over 50 per cent of tennis players suffer from a painful “tennis elbow” on some occasions. Tennis players who train more than three hours a week or who are over 40 years old are especially at risk. The condition is caused by an overload of the forearm muscles as well as a small section of the tendons which attach the forearm muscles to the upper arm. 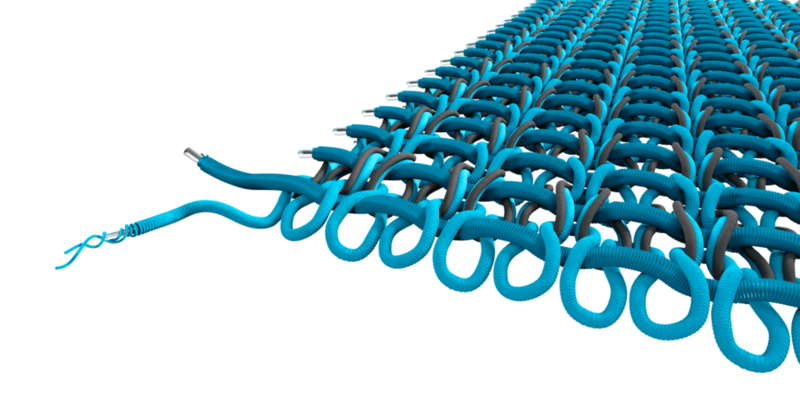 This tendon is partly responsible for finger and wrist mobility and strength. This area can become inflamed if irritated too intensely. 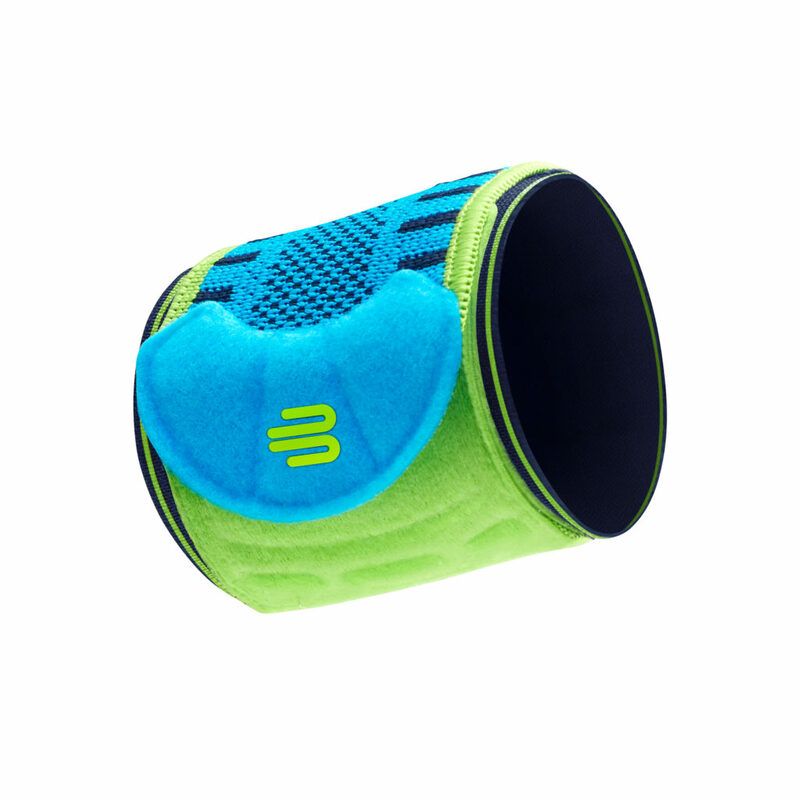 The Sports Elbow Strap prevents this and aids healing an existing tennis elbow. 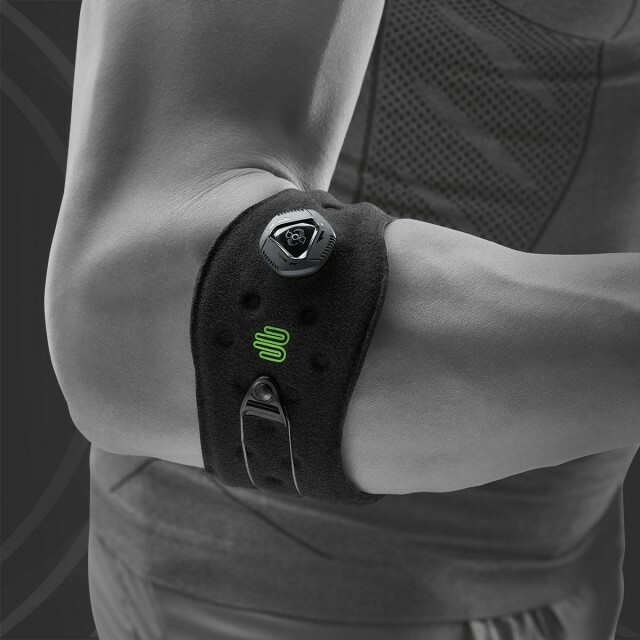 The sport band simultaneously relieves both your elbow and your arm’s lower musculature with targeted pressure. The individually attachable five-point pad either rests on the outside or inside and stimulates muscles and fascia. Your muscles are better supplied with blood and with additional oxygen. Irritation and inflammation associated with a tennis elbow abate faster. On top of that, your strokes strike home with more stability and security. Your next ace is certain to come! 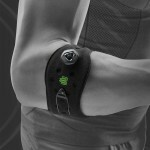 Learn more about the Sports Elbow Strap here. Change in tempo, net attack, topspin change and slice – no matter whether during training or at a tournament: in tennis, your joints score points with each rally. That’s because high loads and forces affect your knee and ankle joints with every movement. These loads are caused by explosive and fast moves, in which you stop and abruptly accelerate again and again. 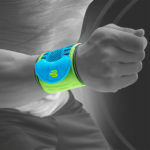 Add to that striking movements and the impact of tight shots which, in turn, put extreme strain on your wrists. Strong joint protection is important so that you can get the best performance on the tennis court and train effortlessly. Quick turns and abrupt stops (Stop and Go) demand a lot from your knees at playing tennis. The products of the Sports Support Line support your knee joints and avoid overloading. At the same, muscles and fascia are being stimulated so that you can train trouble-free for longer and score with controlled movements – for your best performance at every tennis match. 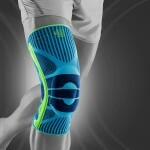 Here you get to know everything about the structure and technology of the Sports Knee Support. 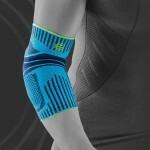 While you’re playing tennis the strong products of the Bauerfeind Sports Support Line help you relieve your wrists. 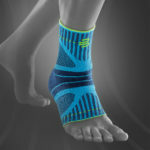 In addition, targeted pressure improves movement control and the durable braces massage your ligaments, tendons, muscles, and the connective tissue with every move which, in turn, enhances sensorimotor function. Especially at longer matches, you will quickly feel the relieving effect because the intense depth perception provides you with direct feedback. Quick, jerky movements at tennis mean massive strain to both knees and ankles. Additional fatigue can lead to pain resulting from overload or spraining a foot. 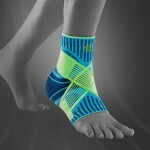 The Sports Ankle Support, therefore, stabilises the ankles in a targeted way and brings relief with every move. Transform your joints into a tennis ace with guaranteed support at peak loads and achieve victory! Facing smashes, hard serves and fast balls – power plays a crucial role in tennis and is a prerequisite for quick reactions. Your power on the tennis court can be a deciding factor when it comes to victory or defeat. Without power, it’s impossible for you to react quickly or counter your opponent’s blows with maximum precision and perfect coordination. 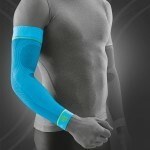 Sports Compression Line sports braces improve how your muscles work during tennis matches using noticeable compression. Targeted pressure promotes circulation and increases oxygen supply to the muscles. Your arm and leg muscles warm up faster and regenerate with greater ease. That way, you’re ready to react quickly in any competitive situation. 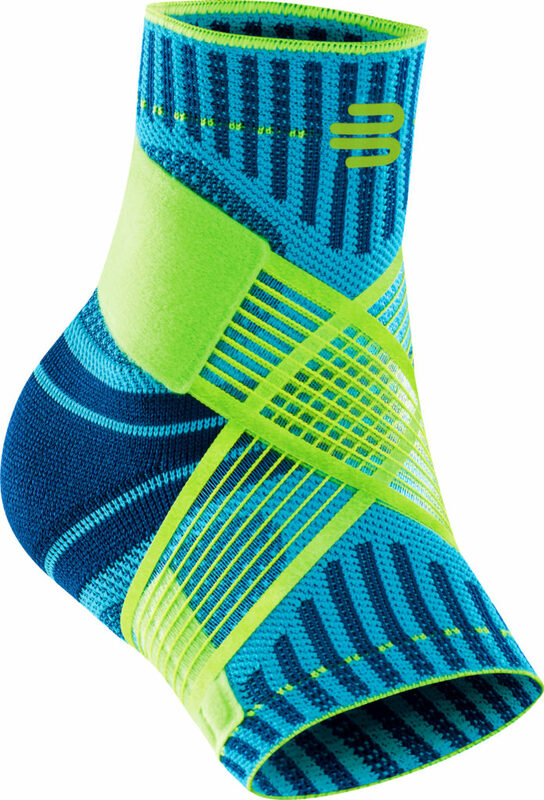 In addition, the compression decreases uncomfortable muscle vibrations, ensuring that your muscles will tire more slowly. You’ll feel that during your next tennis match: you’ll be more efficient, have more strength and achieve maximum stamina. Join the Sports Support Line team for increased power and the best reactions in tennis! Get to know how our Compression Sleeves Arm take effect and how your arms regenerate with greater ease after long matches. 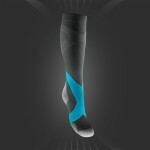 Prevent muscle vibrations with our Compression Sleeves Upper Leg. Here’s how. 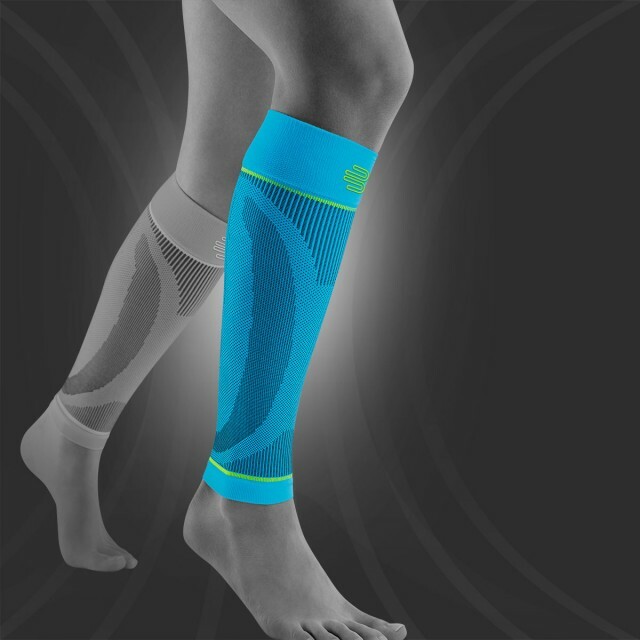 Avoid cramps even in the final set with our Compression Sleeves Lower Leg. Here. 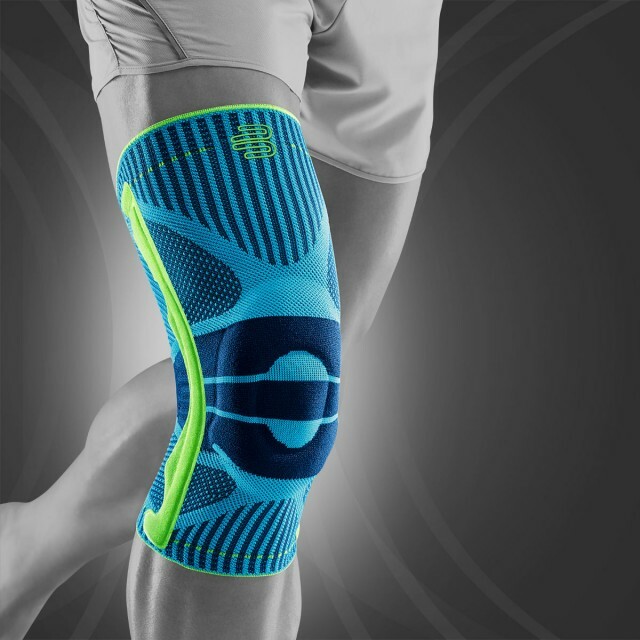 The Bauerfeind Sports products combine a perfect, long-lasting manufacturing quality made in Germany with a perceivable improvement in blood circulation, regeneration of the muscles, and the protection of your joints. We achieve this through our innovative technologies and superior experience in manufacturing medical aids. 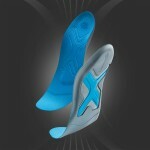 Benefit from the Bauerfeind know-how, improve your tennis performance and serve for the match! 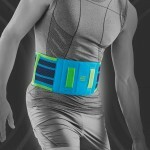 Our Sports Support products think further. 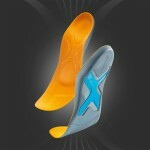 They effectively support arms, back, ankles and knees, still allowing for maximum motion control. 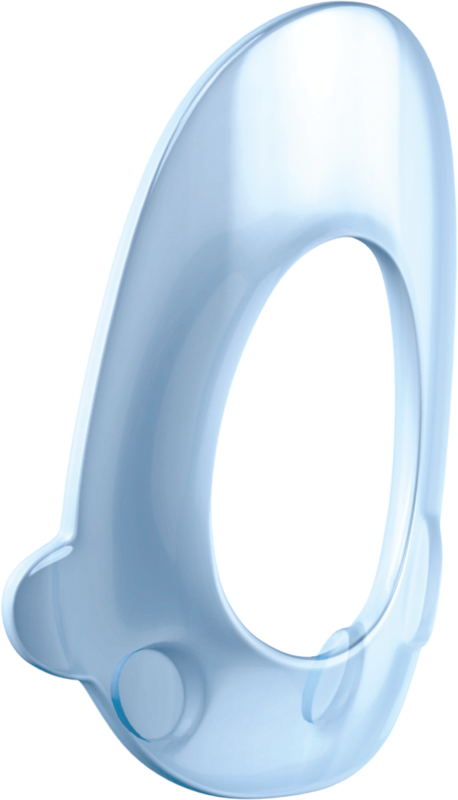 The integrated pelottes absorb peak loads, relieve the joint and optimally distribute forces throughout the joints. Especially complex sports like tennis demand for this certain amount of relief. Thanks to the pelottes the ligaments, tendons, muscles, and the connective tissue are being massaged with every move which, in turn, positively affects sensorimotor function. By this, you effectively counteract the risk for injuries and pain from overload fades faster. The highly elastic microfibre we use for our products of the Sports Compression Line allows for a dosed compression in accordance with medical standards. 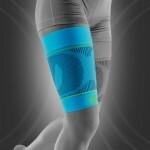 This compression excites blood circulation and facilitates the oxygen supply of the musculature. You benefit from stronger muscles and experience fewer vibrations after strain. Your muscles warm up faster before training, tire more slowly and regenerate better until the next match. You can use this additional energy for victories – while, at the same time, the function of the Sports Compression Sleeves protects you from injuries of the muscles.